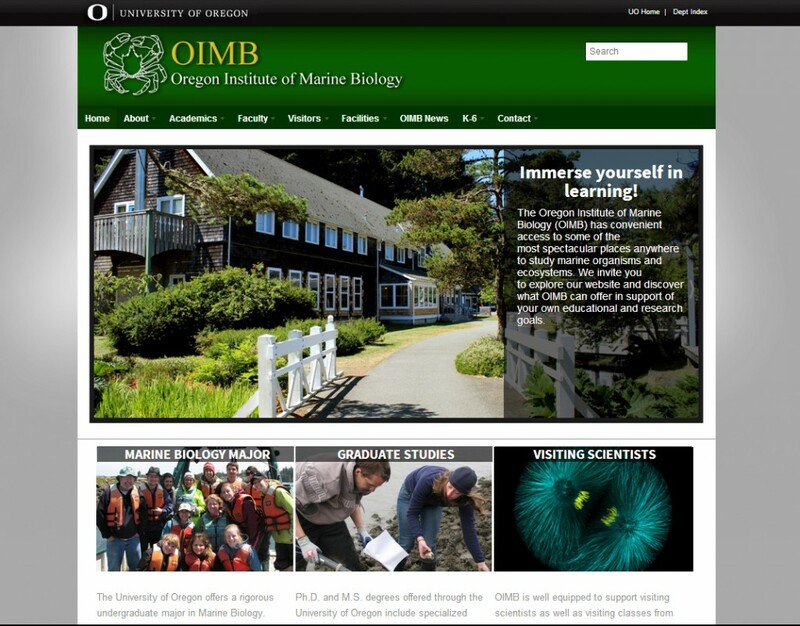 One of our large projects this year was the new Oregon Institute of Marine Biology website. Their previous website was created by Splint Media back in 2002 and they were in need of an upgrade. We worked closely with the staff to create not only an easy to use and aesthetically pleasing site but also one that properly showcased the diverse interests of this vibrant campus. In addition to building the entire site we also meticulously migrated all of the content from the old website, reorganized all of the text and documents to ensure there were no duplicates, and worked with faculty to generate and suggest new content when it was needed. Along the way we made sure to work within predetermined guidelines from the University of Oregon and once the site was ready we worked with their IT department to quickly and seamlessly launch the site. Once the site was launched we met personally with faculty and staff to give them a hands on learning environment so both seasoned and novice website editors could all learn how to update various areas of the site easily. This type of training is available with all of our web development projects. Below are some examples of some of the custom administration pages we created to help the faculty easily update their personal pages. 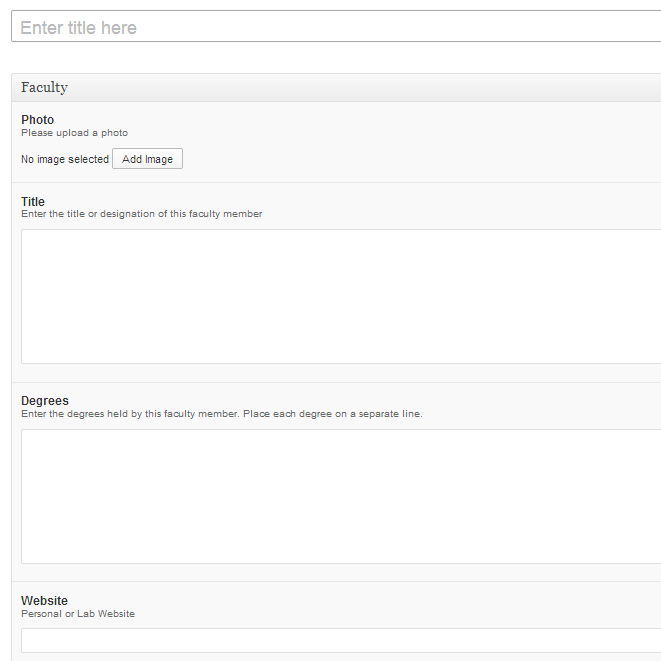 The content automatically formats so that all of the pages look similar and so that everything works perfectly. 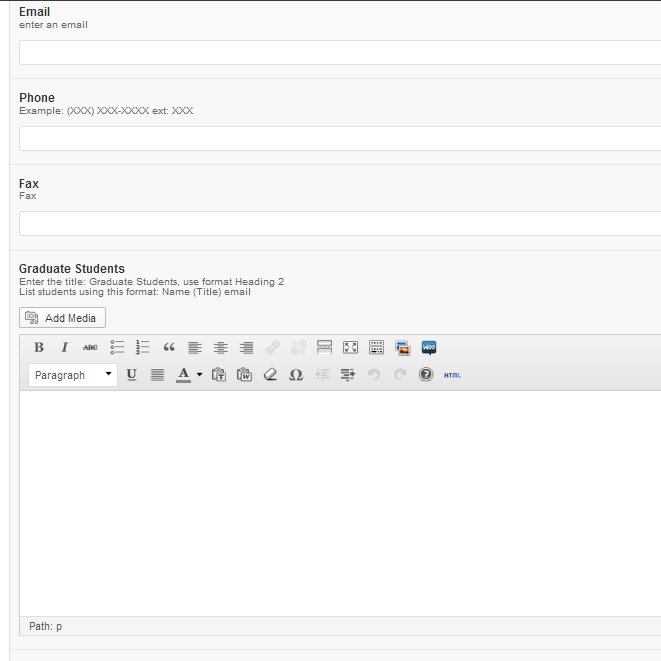 Of course for more advanced approved users we also created ways to override some areas for more freedom.